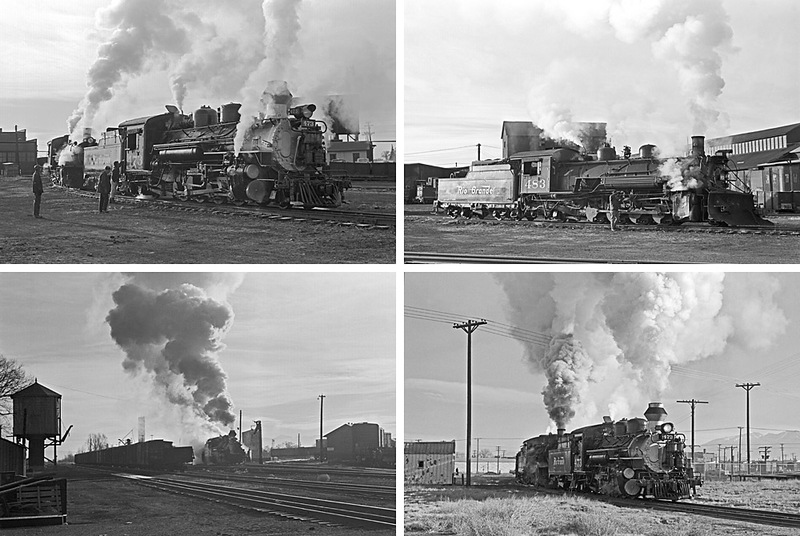 December 5th 1968 dawned clear and cold in Alamosa, Colorado, as the locomotives were being readied for the last narrow-gauge freight to head west. 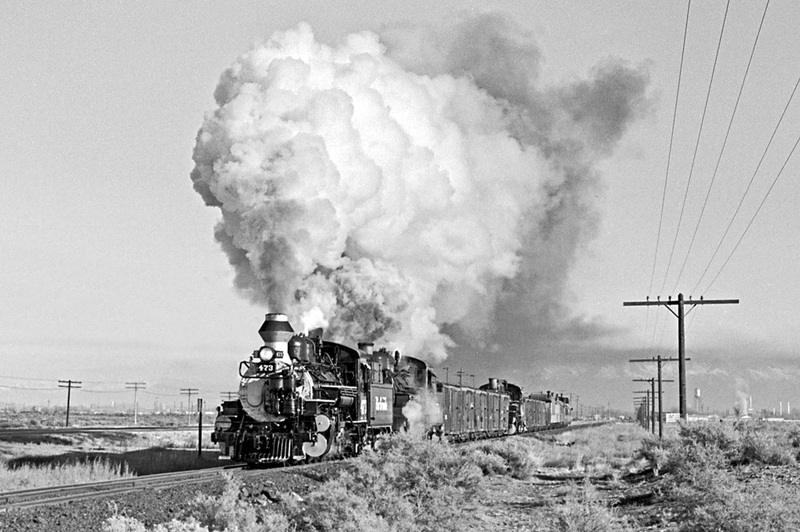 This wasn't a freight in the normal sense – as there was no revenue freight aboard – but an equipment move. 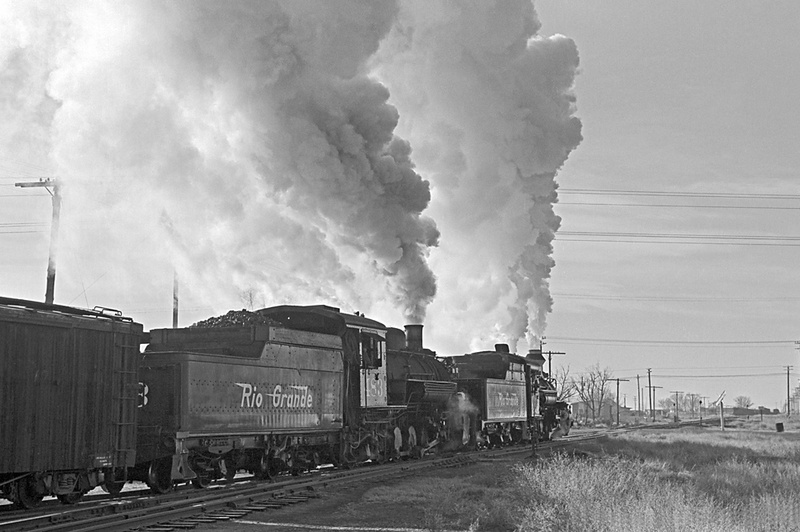 The three passenger cars used for the NPS Special twelve days previously and engine #473, overhauled in Alamosa following its movie work in 'Butch & Sundance', were being returned to Durango for use on the Silverton Train the following year. 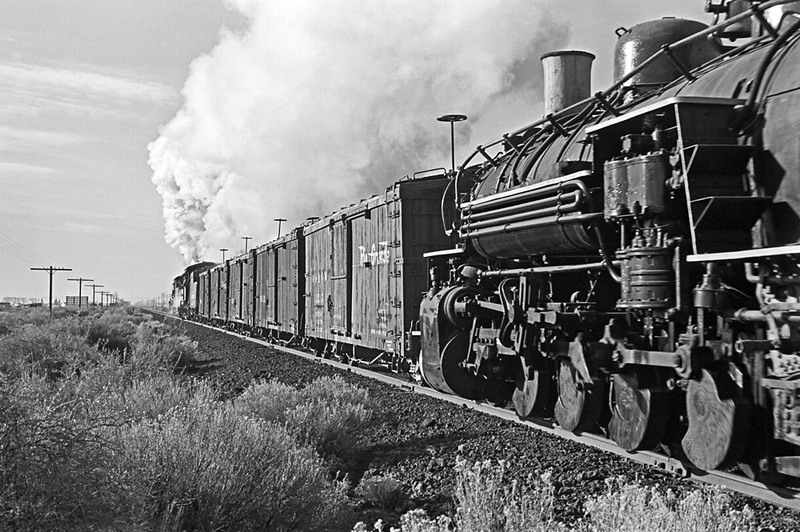 Engine #481, also overhauled in Alamosa earlier in the year for possible use on The Silverton, was being pulled dead-in-train, and a gondola loaded with tubes and flues and two or three carloads of locomotive parts and shop tools were also in the train, along with several empty boxcars to provide extra braking on the steep descent from Cumbres to Chama. Fortunately for us, Ernie Robart was there to catch the action on film. Photos copyright © 1968, 2018 by Ernest W. Robart - All Rights Reserved. Above caption corrected 12/07/18 per an e-mail from Ernie. He climbed several 14-ers in 1969 when no n.g. 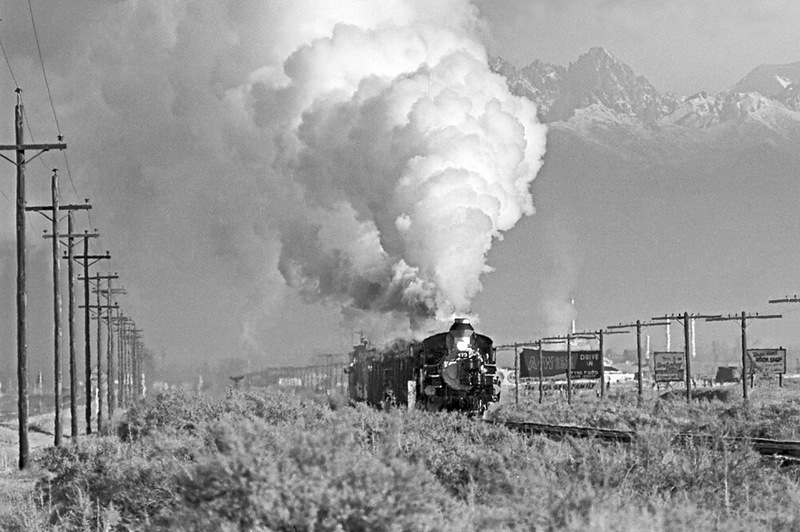 freights were running, but didn't get to the top of Crestone Needle until 1987. He had climbed all 54 of Colorado's 14-ers by 1992. Edited 8 time(s). Last edit at 12/10/2018 01:20PM by Russo Loco. Re: Long lunch - and lazy afternoon . . .
Re: "Back-to-Back on the Ready Track" . . .
Re: Section car at La Boca, Dec. 6, 1968 . . .
Re: (Long) Gon(e) at Arboles, Falfa, Gato & La Boca . . .
Re: Condition of #481 when restored by D&S? 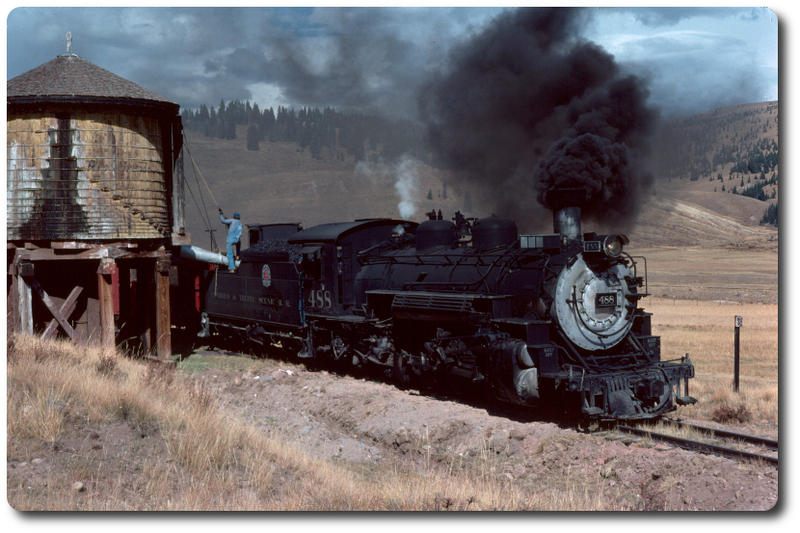 Re: Narrow Gauge in U.S. & New Zealand, Fifty Years Ago! !